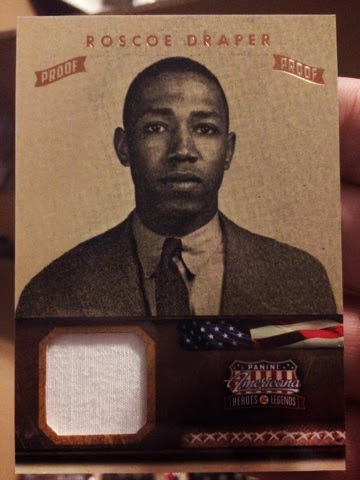 A sweet PROOF of Tuskegee Airman Roscoe Draper! 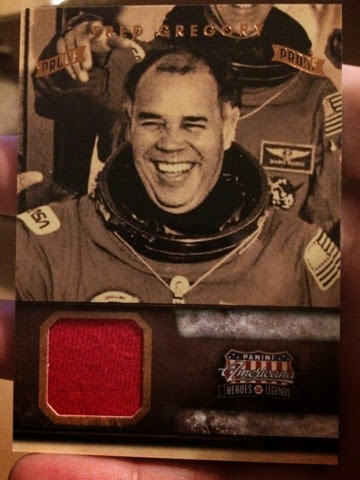 Wow, a Roscoe Brown full color parallel relic! Nice! The Olympics return! 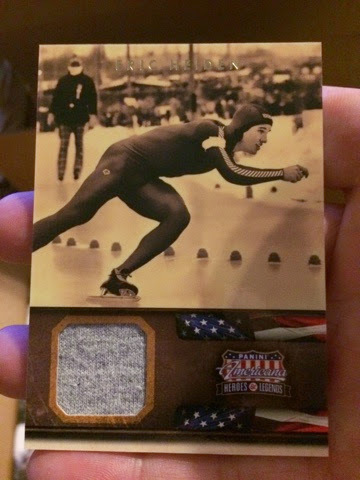 Eric Heiden! Whoa! 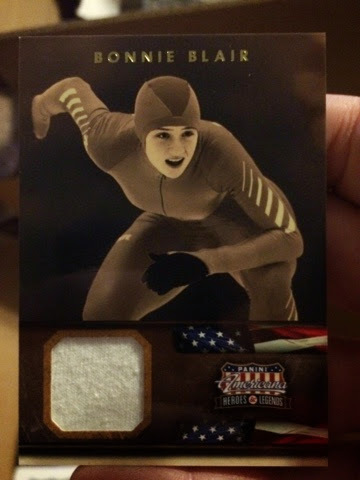 Bonnie Blair! She is one of the hardest relics to pull from this product! 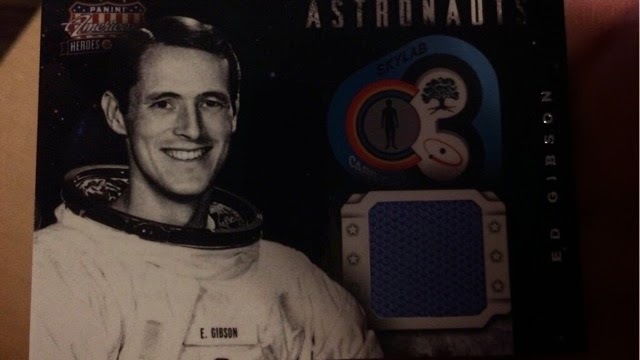 Finally for this post, we have a PROOF of astronaut Fred Gregory! We are halfway through the case! 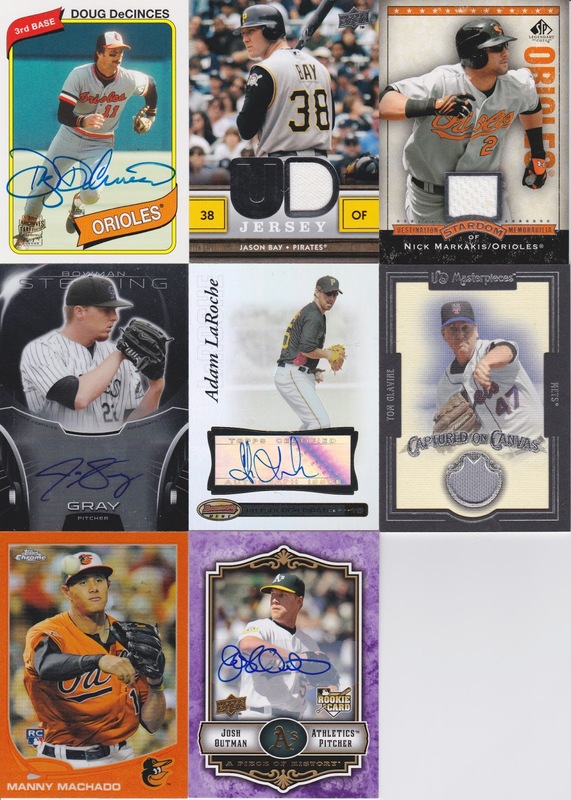 The only recognizable name from the autos is Jeremy Hermida. A very nice HOF relic there from Steve Carlton. It'll be a nice add to the trade bait folder! Next up, freebie hit! 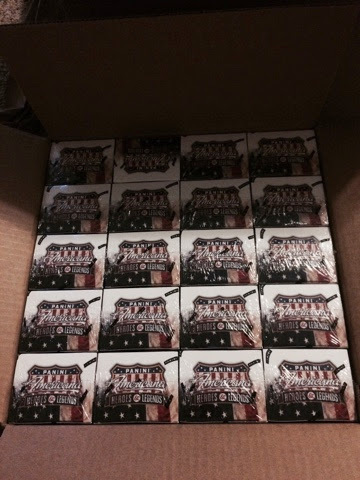 If you order so much product, you get free stuff, I took a flyer on some Razor Poker cards not really expecting much! 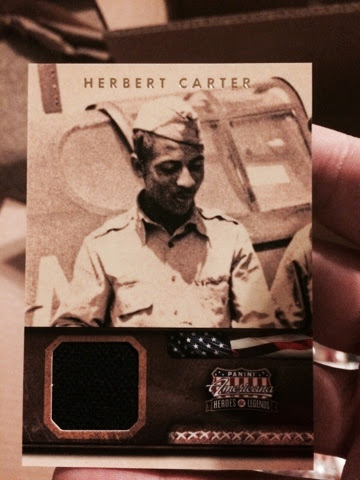 I got an auto out of the twelve hanger packs that came free! I recognize Hoyt from the WSOP Main Event shows that were at the peak of popularity in my college days, and I played a LOT of poker back then as well. This'll go in my "Oddball" keepers binder! Ben Zobrist in the upper left, not bad. Denard Span on the top right, again not horrible. And the triple auto is Aaron Crow, Nick Franklin and Kyle Gibson numbered out of /25. I'm pretty happy with it for the price I paid. The triple auto has one listing on eBay at $400 OBO, I think I may list this one at $100 OBO and see if I get any takers. I think even $100 may be a bit high for those three. 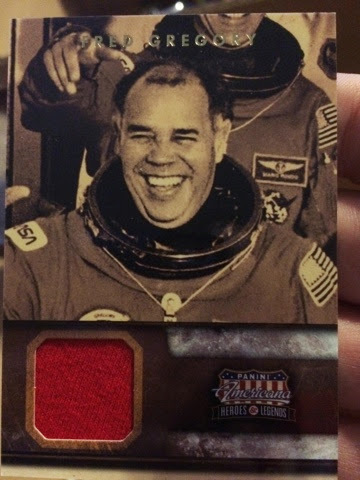 I ALWAYS love getting astronaut relics! 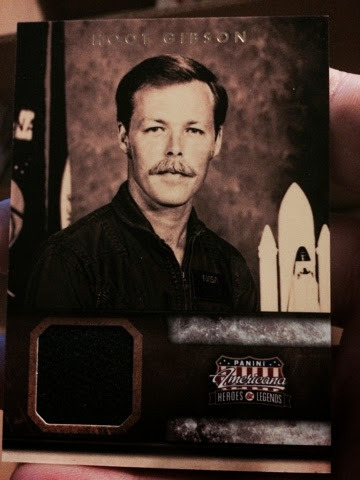 That's Jack Lousma in the top left and Hoot Gibson on the bottom left. The upper right is a bronze proof of a lady soccer player and then the bottom right is a Tuskegee Airman Roscoe Draper. Very happy with the relics! Again, if anyone wants a complete set of this product, just let me know, all I'll ask is for you to pay shipping. I currently have 3 hand collated and once I do some more sorting I may have 2-3 more. I really like this product and it's cheap enough to buy hobby boxes and the like to get the hits at a reasonable rate. That's Jameson Taillon first up out of /800. Then a red auto Jose Trevino out of just /25! He's a Rangers prospect who had a decent run at short-season low A ball last year after being drafted. The redemption is for a vet, Jason Veritek. It shows to be expired but it ran through on Panini's website. I've found they still honor most expired redemptions (unlike Topps). Finally my relics are three guys I haven't heard of really, but I'll look them up for sure: Randal Grichuk, Carson Sands and Albert Almora. Thanks for stopping by everyone. Most of this is trade bait, so let me know if you're interested! So my very amazing sister-in-law got me a Dave & Adam's gift certificate for Christmas. I went through their catalog online and couldn't really figure out what to get. Finally I found a product they slap together called Hit Parade and thought, "Why not? If nothing else you end up with some trade bait, which has been something I have wanted to do more of! So... 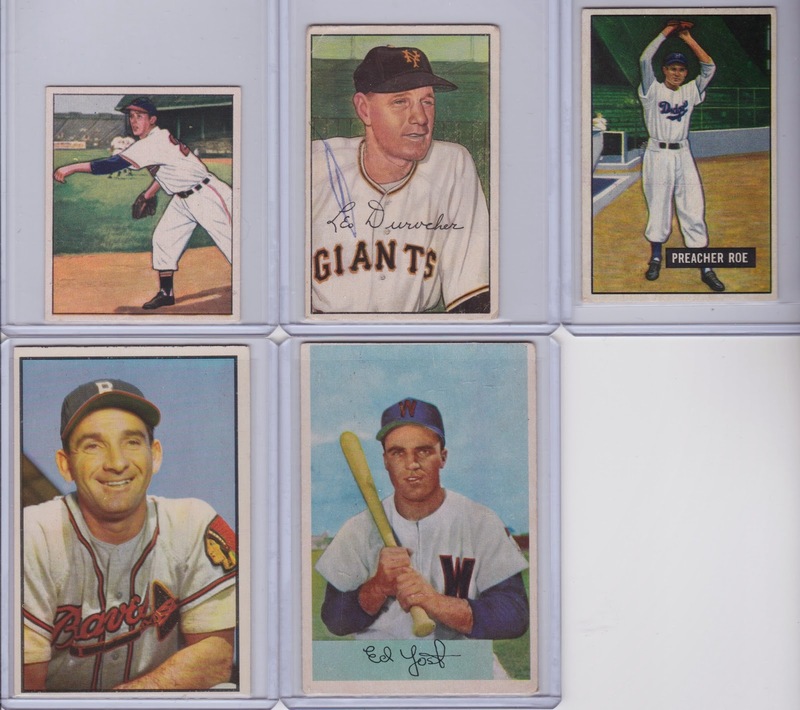 I picked up 5 of the 2015 Hit Parade, as well as two of their vintage re-packs from 1957 and from 1948-1955. 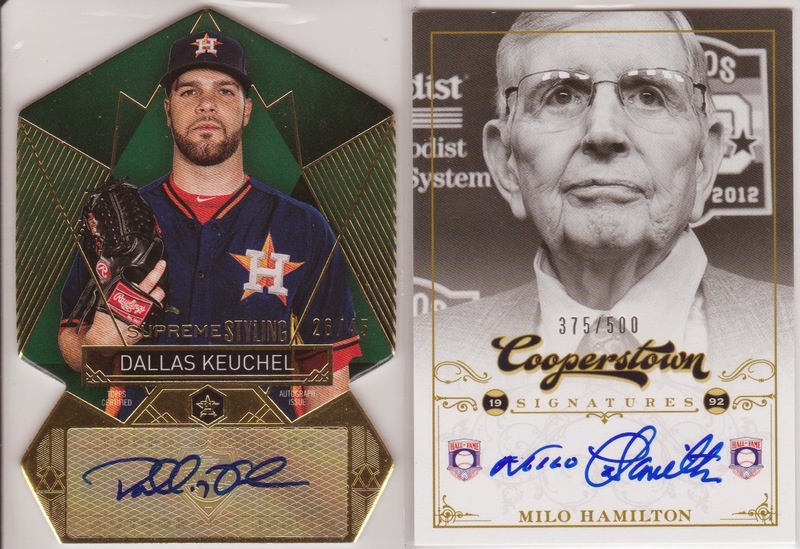 Each envelope of the 2015 Hit Parade contains a relic, an auto and a third card that can be any sort of insert, parallel or bonus hit... here's what I ended up with! Nothing too amazing here. The Machado isn't numbered but a nice Oriole-Orange card and it IS a RC! The Jonathan Gray may be a nice one to hold onto for a few years to see if he breaks out. Apparently they thought I might be an Oriole fan... ha! The Glavine makes for a nice HOF'er relic too; as does the Molitor which is numbered /99! How about that Perkins on-card manu-relic. 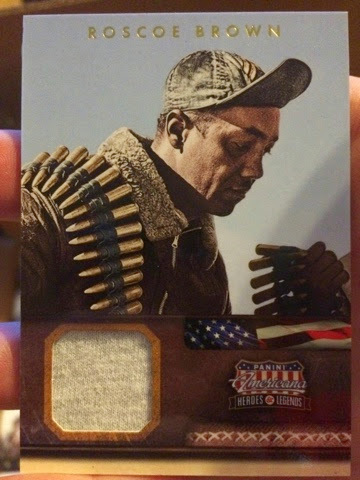 Topps, take note, UD had it right on the manu-relics. Add some value by putting an on-card auto with it and make them worth hunting for! The Brandon Woods Sweet Spot auto? GREAT idea, HORRIBLE execution. So, for the most part, it was a nice addition to the trade bait page but I didn't exactly win big here - not that I had super high expectations. So I didn't really get anyone I even recognize but the cards seem to be in pretty good shape for being nearly 60 years old! These will head to the trade bait page as well. 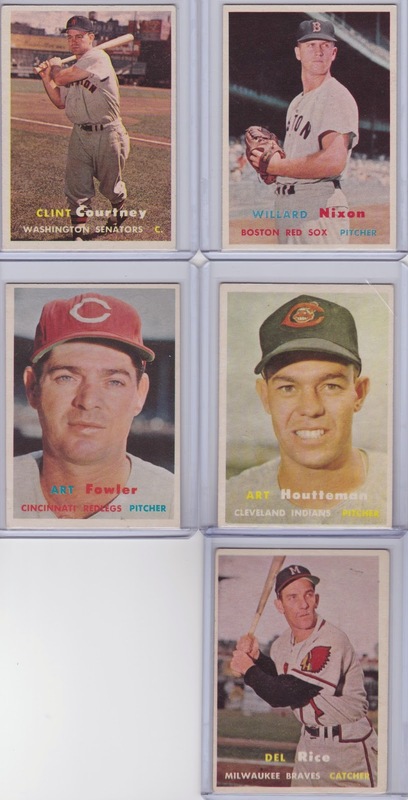 Finally, the 1948-1955 Hit Parade which also has 5 total cards; here I got some recognizable names! First up in the left column is Sam Zoldak and Sid Gordon, sorry guys you aren't in the recognized category! But again, decent overall card quality. The Zoldak has some old tape marks on the back which I'm finding to be kind of common from these early 50's cards I've seen. Ok, second column is Leo Durocher as Manager of the NY Giants and Eddie Yost of the Washington Senators. Finally there is Preacher Roe of the Brooklyn Dodgers. 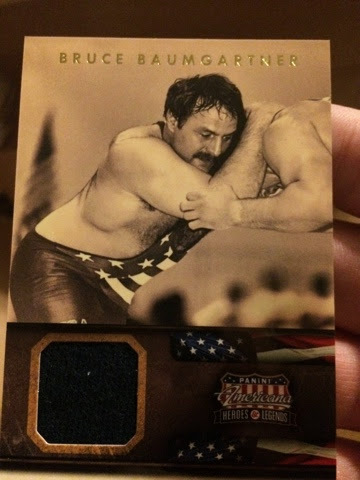 At least I got (1) HOF'er from the vintage, even if Leo's card has the scribble of blue ball point pen across the front of it. Adds a little character! I know PERFECT vintage is bigger $$$ but I like vintage with a little bit of wear, lets me know that at some point there was a kid or collector with their grubby little hands on it, excited about the player on the front. Were these Hit Parade packs AMAZING? I've venture to say no. 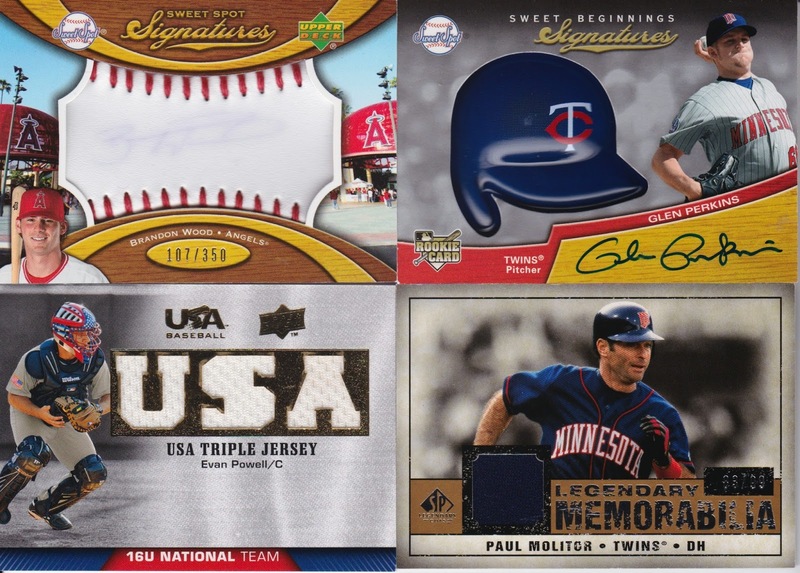 Each has a "Tremendous 10" redemption program where 10 high value cards have redeemable inserts so you do have a slight chance at getting a PLUS high dollar card, box or case out of it. I may use these as fillers on future orders to get to the free shipping plateau though!